We experienced the most intense thunder storm yesterday in the foothills west of Walsenburg in southern Colorado. A half inch of rain in an hour and the lightening was amazing! We have lots of great progress up at our custom home. Who knew drywall could take a few weeks? 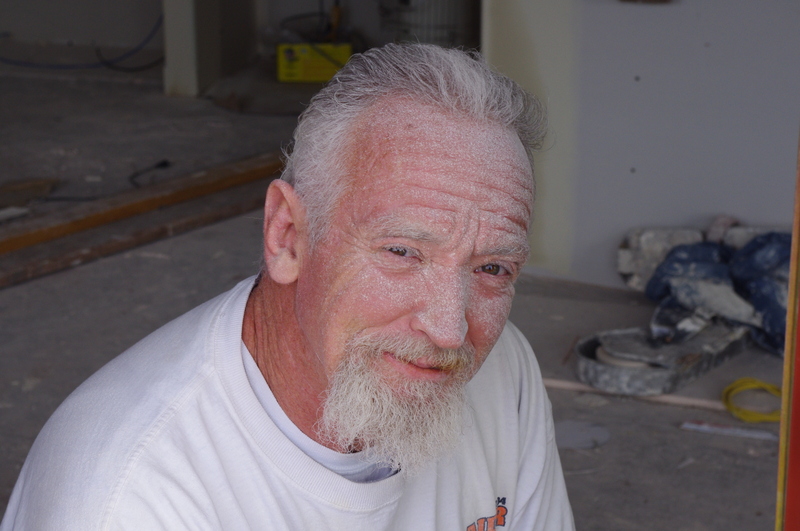 We found an excellent local man, Ron Pino, to do our drywall. He started out working with his Dad when he was only six! He works alone and is doing an incredible job for a very reasonable price. He’ll start texturing the walls today and then we can begin painting the interior. Not the most exciting part, but it all has to get done! We have been collecting all the parts we will need to complete the interior of the house. You try to sit down and think of EVERYTHING you need to finish a house inside. It’s tough! Luckily Mike is extremely detail oriented… thank goodness! 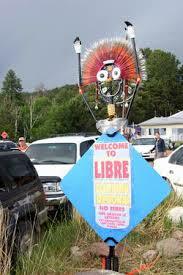 In the meantime we met a woman who is one of the original members of the Libre Commune north of here. 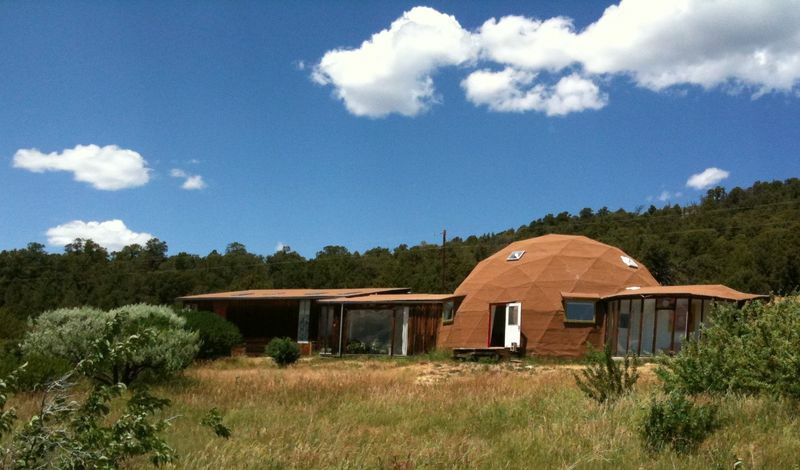 Libre was established in the early 1970s as an artist community, with lots of unusual dome homes. There are still some members in the area. If you have any interest in this topic, check out the book Huerfano: A Memoir of Life in the Counterculture. We are invited to go visit some of the original homes up there! How cool is that? I love how you have embraced your new life and all that goes with it. Thanks Carol! The first year has been a challenge, but now I feel like I’m finally starting to enjoy life here!